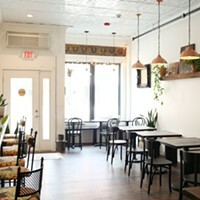 A roundup of restaurants and bars. 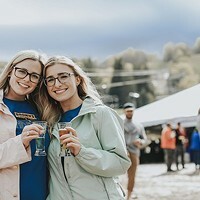 Since opening right across from Hunter Mountain last winter, Jagerberg Beer Hall & Alpine Tavern has rapidly become the go-to place for people fresh off the slopes to kick off their ski boots, order a brew, and sink back in tired contentment. Head chef and CIA graduate Christie Flanagan has helped to focus the menu's German concept. Spent the day burning calories? Choose from hearty, soul-warming classics like the jagerschnitzel, which is a rich and crispy chicken schnitzel with roasted, sauteed mushrooms—served with mashed potatoes and swiss chard ($23), or the Kaesespaetzle, a traditional egg noodle dish served with caramelized shallots, emmentaler cheese and rye breadcrumbs $14). Either way you'll leave full and happy. Jagerberg Beer Hall & Alpine Tavern. 7722 Main Street, Hunter. When The Hop closed on Beacon's main strip, locals and weekenders alike were crestfallen. But owners of The Barking Frog, which proudly bills itself as "the best damn dive bar in Beacon, and Publick House 23, a Pleasant Valley staple, were well-poised to take over. Melzingah maintains the laidback, no-frills ambiance of The Hop, with a 23-tap selection of brews to boot. The centerpiece of the space is a massive steampunk chandelier with cantilevered mix-and-match pendant lights, a fitting accent too the industrial blend of beams and brick. The menu is broad-reaching, featuring some high-brow takes on bar faves like their grilled cheese, made with manouri cheese and Mediterranean chimichurri on a toasted baguette ($11); light and fresh small plates like the roasted beet salad, made with roasted marinated beets, whipped goat cheese, and almonds ($13); and rich, filling mains like the garganelli and sausage ragu ($17). Melzingah Tap House. 554 Main Street, Beacon. Poughkeepsie's newest brewery has taken up lodging in the former King's Court Hotel. The once glamorous inn was recently converted to offer a blend of residential and commerical spaces. King's Court Brewing occupies a 2,500-square-foot space on the ground floor and is open to the public Thursdays through Sundays. Head brewer Cortlandt Toczylowski, who got his chops in the San Francisco beer scene, is brewing up refreshingly original concotions, including Free Your Mind, a dry-hopped sour ale; Locust Grove Peach Ale, a champagne harvest ale; and Into the Night, a schwartzbier black lager. Stop by the taproom and taste something new or buy a four-pack of 16-ounce cans to go. King's Court Brewing Company. 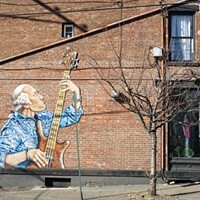 40 Cannon Street, Poughkeepsie. The recently renovated Vanderbilt Lakeside Bar Room & Guesthouse boasts eight, cozy light-filled guest rooms with a trend toward Midcentury and boho modern furnishings. In the Bar Room, CIA alum Ferdinand Ramilo is at the helm of an approachable and unpretentious menu. 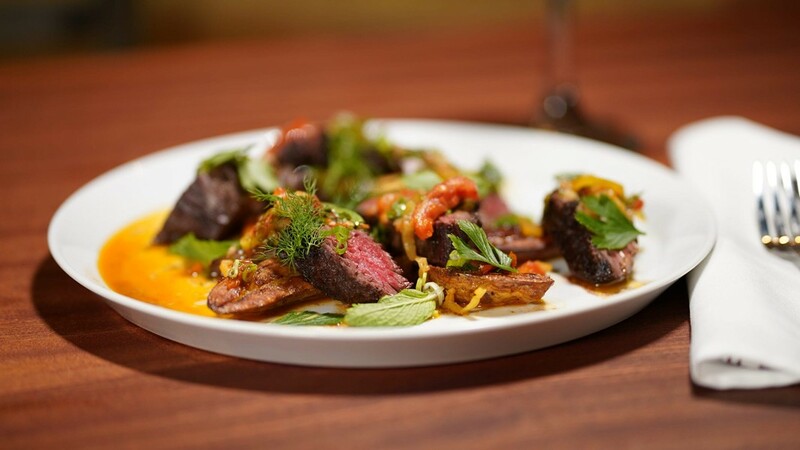 Ramilo's love of travel informs his menu curation, which explodes with global flavors. Highlights include a Japanese-inspired organic miso-, panko-, and peanut-crusted Faroe Island salmon ($24); and the Caribbean-style rum-brined pork chop, served with tostones, apple leek slaw, and house-made chutney ($22). Go for a meal, stay for the weekend. Vanderbilt Lakeside Bar Room & Guesthouse. 161 Main Street, Philmont. Self-described "tropical comfort maximalists," Carla Perez-Gallardo and Hannah Black have created a bright, funky, queer-friendly coastal vibe in their Hudson restaurant Lil Deb's Oasis. The laidback feels and inventive Latino menu of this converted neighborhood diner has earned Lil Deb's a cult following. From the perfectly tangy yucca appetizer served with salsa verde ($7) to the whole fried fish (MP), which you can order in a range of sizes, the flavors here are bold, blended, and finger-lickin' good. Lil Deb's Oasis. 747 Columbia St, Hudson.